From tiny chips to poor fits, if there’s broken glass in your vehicle, we can fix it – even if it's agricultural machinery, construction equipment, a semi truck or a boat. Power windows malfunctioning or stuck? No problem! Window regulators count as glass, so yes, we can fix that too! Some glass just can’t be repaired, but needs a full replacement. Maybe your vehicle has custom windows or a hard-to-fit section of glass has shattered. 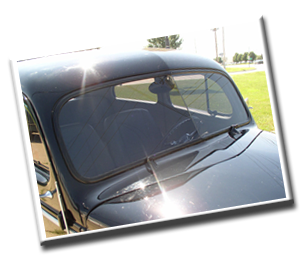 It can take time to find a replacement window, so we cut our own glass in our Lafayette auto glass shop. We can custom cut glass for doors, convertible back windows, corner glass, vent windows – even flat glass can be custom cut into shape, polished, and installed all in one trip for you.